What could our good friend Trekgeezer and Ronald be saying? 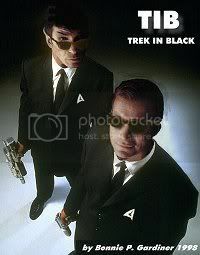 Trek: "I bet I can rip a louder fart than you can!" "My friend Ronald here doesn't appreciate deadbeats. Knowing as such, care to tell me where that money you owe me is?" To think, I almost wear the same outfit as Ronald today. "I was pushing a shopping cart on the street until this man helped me get my life together. I love you, Trek." "Ronald, what the hell did I tell you about the roving hands!'" They latter married and adopted a Koren child togther.